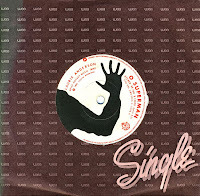 My copy of the single was housed in a custom WEA Records single sleeve. The label features some specially designed artwork. Although picture sleeves do exist, I still feel this is a great alternative.